Rox et Rouky (The Fox and the Hound) Studio Disney 1981. 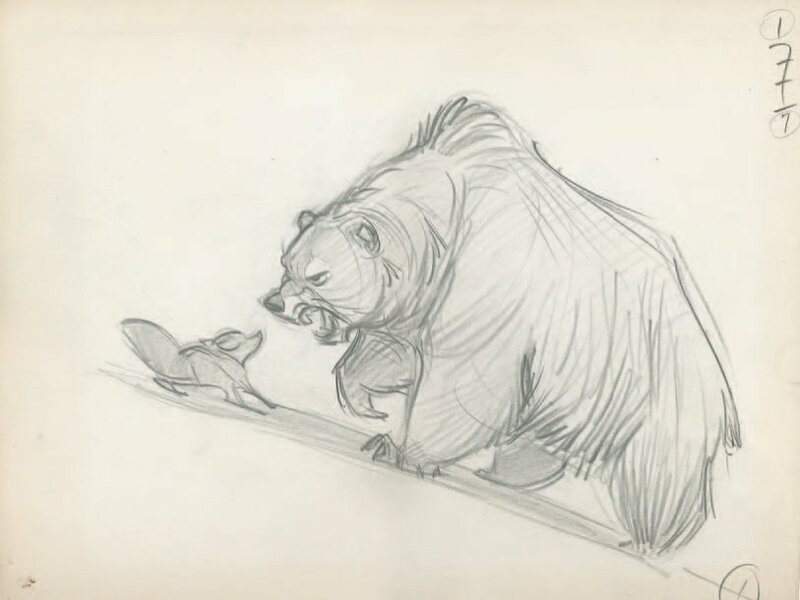 Dessin d'animation de l'ours dessiné par Glen Keane. Format : 32 x 39 cm.